I will be attending and presenting at the Texas Computer Education Association’s annual conference in Austin beginning tomorrow, February 9th through Friday, February 12th. 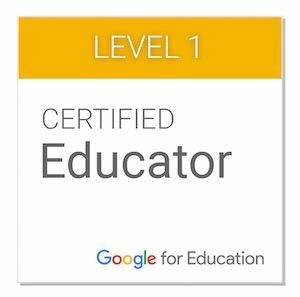 I am excited, as always, about the opportunity to share and to learn from some fantastically talented educators. 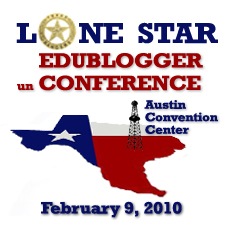 One event I am particularly intrigued by is the first Lone Star Edubloggercon, a conference-within-a-conference that will be taking place on Tuesday. The event, which runs from 9 a.m. through 4 p.m., will be a meeting of some outstanding leaders in educational technology in Texas to discuss issues that affect all of us, to share ideas and insights, to brainstorm, and to network with one another. There is still a little mystery about the agenda’s specifics, but I am confident that it will be highly worthwhile and a great learning opportunity. The event will be held upstairs at the convention center in the Mezzanine, and it is free and open to all interested parties. If you will be in Austin on Tuesday, this would be a great way to start off your week at TCEA. For more information, you can visit TCEA’s Ning site or the LS Edubloggercon wiki. Whew! What a crazy week-and-a-half! I had the opportunity to make 5 presentations in 3 cities, including 3 in one day yesterday. Topics ranged from student achievement vs. 21st century skills to live streaming of school events/instruction to my personal favorite, a requested session on Twitter. This gave me the opportunity to articulate just why this tool has become such an important part of my own learning and networking. The session, streamed live on uStream, was made even more effective through the interactions of some of the members of my own Twitter network. As they viewed the session, they used Twitter to respond to statements or questions I asked aloud. It was a bit chaotic, but VERY effective, and I think it left a very positive impression of Twitter’s usefulness on the educators in attendance. Special thanks to Paul Wood and Kyle Stevens for their invaluable input! The PowerPoint and session video are below, if interested. (Edit) Educators interested in building their own Twitter networks should check out Gina Hartman’s Twitter4Teachers wiki. It is a growing list of educators using Twitter, sorted by subject areas/job titles.